At Le Genesis we believe that leisure is an essential component for a healthy, well-balanced lifestyle. The Recreation Director, along with a team of dedicated volunteers, encourage seniors to participate in a variety of individual, small and large group activities which are designed to meet social, physical, intellectual, and spiritual needs. 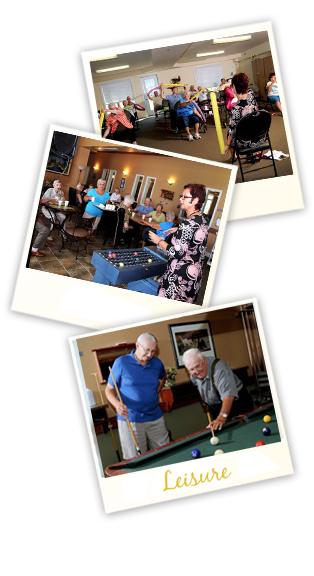 Our Resident Council (CADO), a non-profit corporation, has a mandate to improve our seniors quality of life and therefore are very active in supporting our recreational program. They also serve as a voice for our seniors by giving new ideas and suggestions to our Administrators. With activities such as sit and dance, group walks and group execsise sessions, we encourage our senior to be active as they have fun. Our Activity program is filled with fun and inventive ways to get moving!